Facelifts are nothing new, but they are the most effective method of rejuvenating the face. In fact, according to Whatclinic.com, in 2014, requests for mini facelifts were up by a whopping 1006%. This is going to be the first step in the field of cosmetics, and is more likely to be successful. What is a volumetric facelift? The latest techniques of facial rejuvenation recognize that the face of the face is lost. Combined with the loss of volume of the skin and the skin of the skin. Therefore, correcting the loose skin and deeper tissues by a surgical tightening provides a further improvement. Some of the best and most natural results can be achieved by a combination of the effects of a surgical procedure and a surgical procedure. Who is the ideal candidate for a volumetric facelift? Individuals who benefit from this technique are those who have some degree of hollowness under the eyes and cheek area. Usually, this is the most important age group in the world where the hollowness in the face is combined with sagging skin. 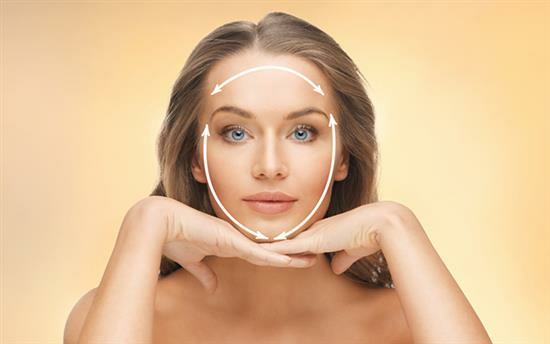 How is a volumetric facelift carried out? The technique involves combining fat transfer with a facelift. Liposuction is carried out to your advantage. The fat is then injected carefully in small amounts and evenly in the required area. This is performed at the same time as the facelift surgery. What is the advantage of a volumetric facelift? One of the major advantages of using facial fat injections alongside a facelift is the combination approach provides a very natural and rejuvenating appearance and improves the result of the facelift. Also, unlike artificial fillers, it is a permanent solution. The effects of injectable fillers fade over time, but because facial fat fillers are living fat cells, if the graft ‘takes’ then the effects are permanent. What are the disadvantages of a volumetric facelift? The main disadvantage is that occasionally the fat can be absorbed. However, Mr Chana is one of the first plastic surgeons in the country to use ultra fine injecting techniques which enhances the survival rate of the fat. Of course, if some of the fat does absorb then it can always be ‘topped up’ at a second procedure. In addition, you will be able to discuss the issues of a facelift with Mr Chana, and for you to make a decision about which one is right for you. Mr Chana places emphasis on natural results for his patients, so expect your consultation with an open mind - he will be able to advise you the best course of action for your individual case. Mr Chana is one of a few plastic surgeons in the country using a facelift. It is a cosmetic innovation that would really take your facelift to the 'next level', and restore a youthful performance.